They’ve played for moms, they’ve played for dads, they’ve played for kids, they’ve played for families. 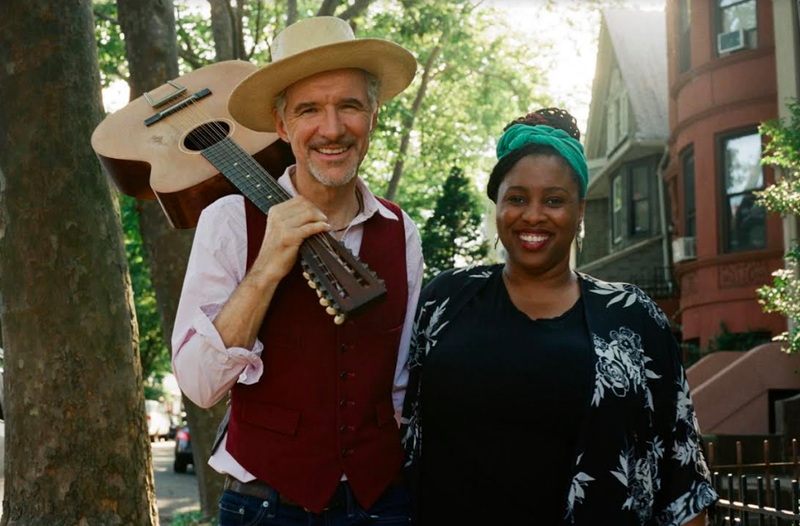 And now the husband-and-wife musical team of Dan Zanes and Claudia Eliaza will play for an audience at the Rittershausen Theater in Nyack. This Milk and Cookies Playhouse performance, presented by ArtsRock in Nyack, is a sensory-friendly show geared toward families. The date is Feb. 17. The time is 2 p.m. Tickets cost $18. And yes, milk and cookies will be offered after the show, at no charge. A former member of The Del Fuegos, Zanes is a Grammy winner who Time magazine calls “the family-music genre’s most outspoken and eloquent advocate.” His critically-acclaimed music has been featured on “Sesame Street” and Nickelodeon. He has collaborated with a wide range of performers, including Philip Glass and Bob Weir. Claudia Eliaza is an exuberant Haitian American songstress with a fragrantly-rich voice who, like her husband, has performed at Carnegie Hall. Eliaza has also graced the Jazz Philharmonic Hall in St. Petersburg, Russia, and the Berklee Performance Center in Boston. Eliaza is a Board Certified Music Therapist in the Boston area who directs the Music Therapy Program at Community Music Center of Boston. She believes music has the power to break down walls and build bridges while fostering meaningful connections across generations. General admission tickets for this performance cost $18. Visit www.artsrock.org or call 855-ARTSROCK for information. The Rittershausen Theater is at 131 N. Midland Ave., Nyack.